The Cups and Balls is probably the oldest magic effect that we have come to know. A drawing of conjurers performing this classic is found inside the pyramids, which proves that it was performed thousands of years ago. 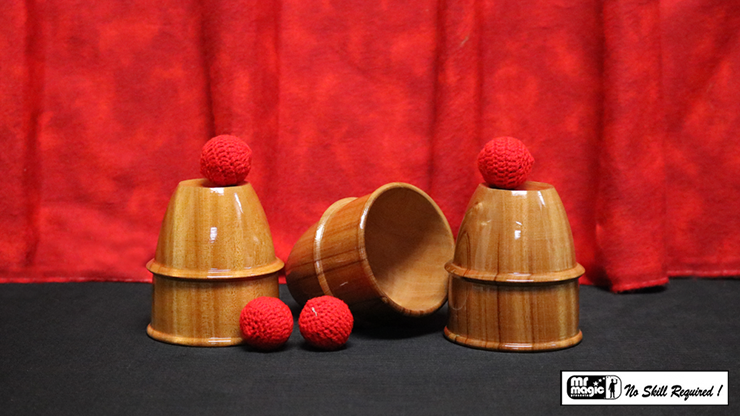 Cups and Balls was performed mainly by street conjurers in the Orient. The Western performers have improved the basic plot into fantastic routines, most of which are easy to execute and are highly entertaining. The shape, size and materials used are also improved so that modern performers can handle them with ease. Comes with full set and written instructions so you can amaze your audience!